Persons who need competent, honest legal representation by a California Personal Injury Attorney call the Law Offices of Seth M. Goldberg. 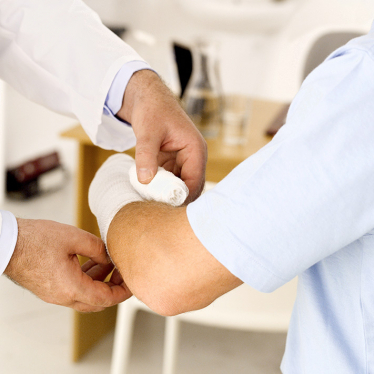 Many different events contribute to personal injury accidents. The most frequent cause is auto accidents due to negligent behavior or product defects. These accidents happen by the thousands every day, costing victims high medical expenses, lost wages and more. Slip, trip and fall accidents, wrongful termination, medical malpractice are other incidents that cause bodily harm. A victim can seek financial compensation for their accident expenses and damage claims related to their injuries, but it is important to have prompt legal representation by a California Personal Injury Attorney for best results. These accidents can cause tremendous expenses, problems or wrongful death for victims. High medical care expenses, lost wages, loss of companionship, guardianship and future inheritance are just some potential problems that arise due to personal injury accidents. Death of a loved one is the most devastating, but filing a lawsuit against the guilty party or parties can offer some financial relief through a winning judgment or settlement. Persons who need competent, honest legal representation by a California Personal Injury Attorney call the Law Offices of Seth M. Goldberg, A Professional Law Corporation located in Valencia, CA, for help obtaining justice and preserving their rights. If you or a loved one has been injured in an accident, you need immediate legal representation; do not discuss your case with insurance adjusters before speaking with your attorney or you could jeopardize your ability to gain fair compensation. Our law firm is vigorous in representing clients in state and federal courts through litigation, and we are not afraid to move into the courtroom for trial and appeal. Contact us now for reliable legal representation. Call for your first consultation now, (661) 294-9123.